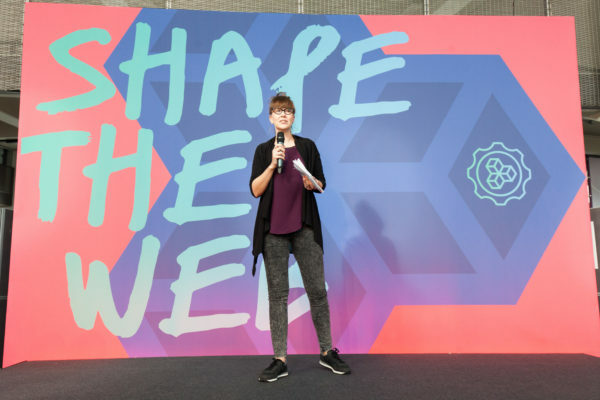 This past weekend, the sixth-annual MozFest — Mozilla’s celebration of the open Web — convened hackers, teachers and organizers from across the globe to address some of the most pressing issues facing the Web today. Together, we explored how we can act as leaders in the tech, policy and social spheres to create a better Web for everyone. Participants from diverse fields like journalism, education, science, advocacy, hardware and the internet of things worked in collaborative, self-organized sessions to shape the future of the Web. 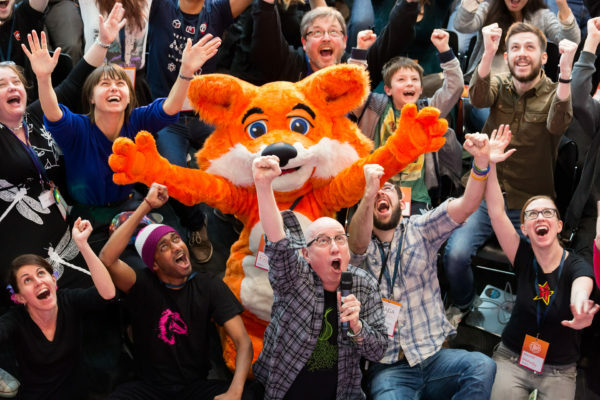 With 1,700 attendees from almost every corner of the Earth in attendance, 300 volunteer-hosted sessions and 50 learning pathways, the weekend was a joyful, thought-provoking celebration — and a reminder that all of us have the ability to mobilize others and fuel the movement for the open Web. Kicking off with a science fair and ending with a demo party showcasing the creations that were collaboratively hacked, the weekend was a tremendous, cacophonous celebration of inventing, building and forging bonds with new allies from around the world. View photos of the weekend here. Participant-proposed sessions allowed us to dig into the issues that are most important to the open web community. In the Digital Citizenship Space, participants explored the state of online privacy, surveillance and digital rights — and hacked on building a more secure Web. Mozilla Senior Policy Manager Raegan MacDonald outlined current threats to a secure Web, like the UK’s Investigatory Powers Bill, which collects, analyzes and stores users’ data. MacDonald also touched on bright spots: the makers, thinkers and engineers dedicating time and energy to solutions. “In my ideal world, privacy and security are the default setting,” MacDonald said. 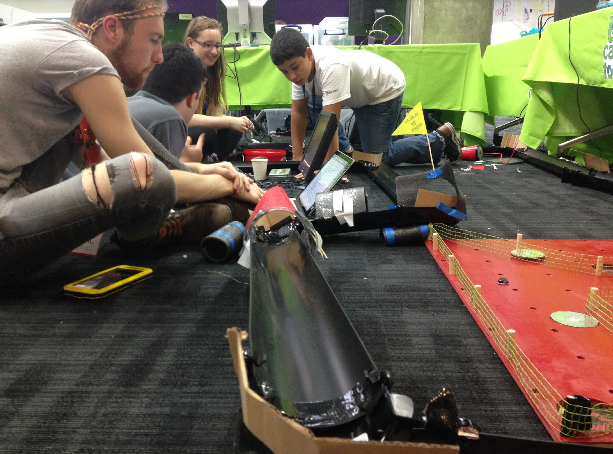 Throughout MozFest, youth learners and leaders showed off their projects. George, a 12-year-old from Kent, England, constructed “The Gauntlet” — an interactive race course powered by Raspberry Pi, Makey Makey, Bluetooth, motion sensors and Python. George taught coding and electronics basics to more than 100 fellow kids over the weekend. Next door, eight-year-old Otis showed off his latest Unity creation: a virtual reality flight simulator game. Nearby, participants took on topics like open hardware and the internet of things. The team at Wevolver displayed an open-source robotics project that will help sick children remotely visit the London Zoo. Youngsters will be able to put on a virtual reality headset and experience the zoo through a robot’s eyes, interacting with animals and exhibits. 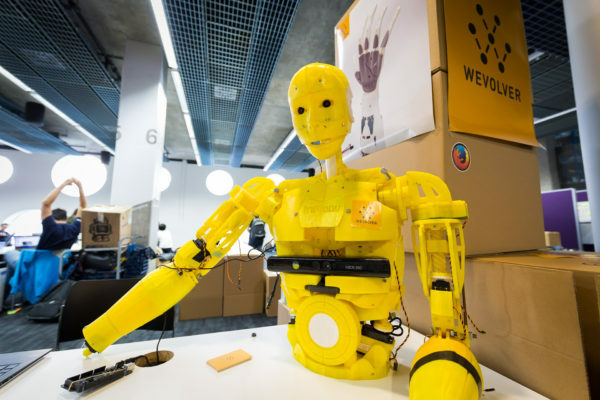 Down the hall, participants discussed an internet of things Design Manifesto, which seeks to inspire engineers to create devices that are secure, private and useful. So, what comes next? 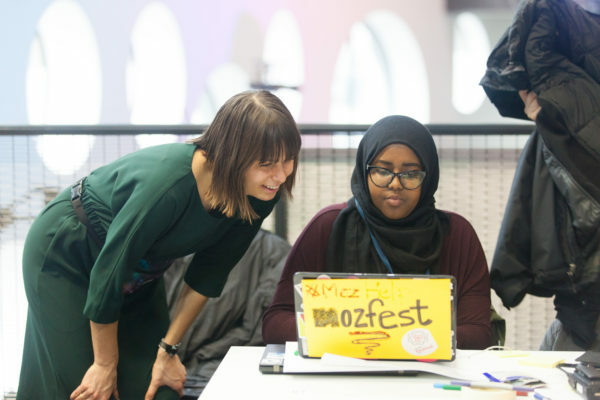 How do we carry the momentum from MozFest into endeavors that are productive, creative and built using the open ethos that is so integral to the Web? At Mozilla, we’ll supercharge what we’ve done over the past few days — and learned over the past few years — by building more communities and events around the globe. We’ll introduce more opportunities to cultivate leaders. And we’ll allow everyone, from young leaders to executives, to further fuel the movement. What about you? The ideas generated at MozFest 2015 demonstrate that together, we’re a formidable force, and we’re only getting stronger. The solutions to pressing issues related to privacy and surveillance, digital inclusion, the internet of things and more are within our grasp. Let’s keep making noise, and rally more people around these causes. This is how we defend the Web. Join us.